@GautamGhosh Risky, Short-Term, 0 win for employee! An HR professional, speaker, life and leadership coach, marathon runner, columnist and a blogger, Harlina leads culture and capability at IDFC Bank. Among the Top 20 HR social media influencers, she speaks on organisational culture, learning and digital practices at workplace, diversity and future of work. Counted amongst the top 16 women HR leaders in India, Harlina believes in the power of constant learning. She is a sought-after speaker at HR forums and business schools. Her writings have appeared in journals and magazines including NHRDN, SHRM, Business World and People Matters. She is a Project Management Professional from PMI–US, 6 Sigma GB/BB from GE, and a Certified Professional in Learning Performance from ATD, Coach from ICF – US & DISC, EQ 2.0 & MBTI. 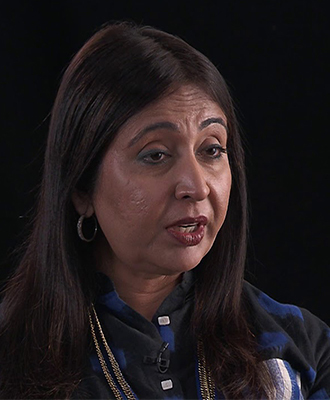 Prior to IDFC, she worked with Reliance Industries as Head of HR for Shared Services, where she set up the Big Data line of business and then was Head of CoE for Employee Engagement, Internal Communication, Diversity and Inclusion. Harlina is a core team member of a volunteering body called “Believe In Yourself” whose goal is to help bind the HR community in India and contribute towards building purpose-driven organisations, meaningful lives, agile leadership and conscious & compassionate workplaces.